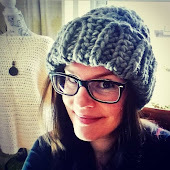 Over the last few months I have met many crocheters wanting to start their own business and I've come to realise that there are some key ingredients to not only making your business successful but also to keeping you sane. I think the first and probably most important thing to remember is, dont try and do everything at once. You may have looked at other crochet businesses and thought that's what I need to be doing but you will only find that you quickly become over-whelmed and over-worked. 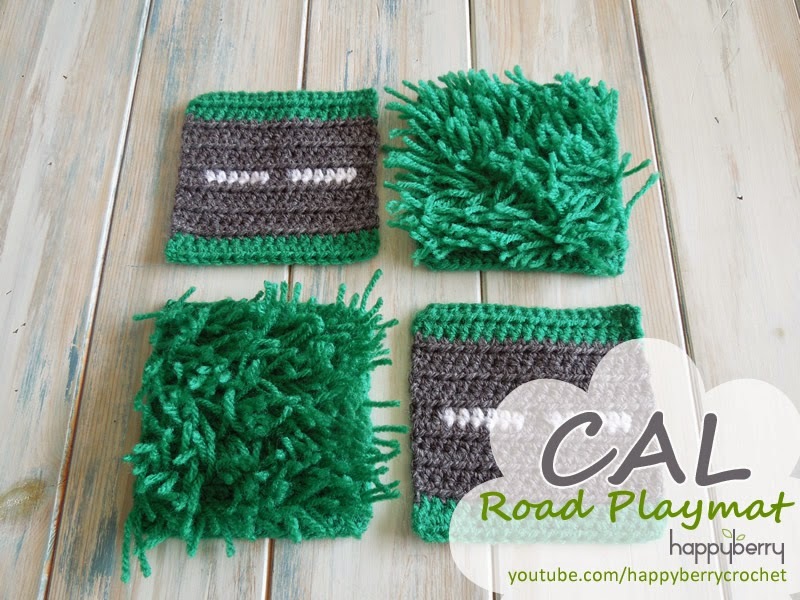 Instead take a more relaxed approach and perhaps, sitting down with a cuppa and a notebook, write down your strong points, what you enjoy crocheting the most and start from there. Start thinking about your target market. You may want to do everything for everybody but sometimes its best to just focus on one area, even better if no-one else does much of it, such as boy's clothes or teen stuff. Start a folder on your computer named ideas and start saving images on google of the things you like or save items you like on Etsy for inspiration. Once you have your planned projects written down, start thinking about a name. Perhaps this could be something personal to you, or related to the items/patterns you wish to make. If you plan to move on to different things in the future, think about if your brand will move on with you. Perhaps design a logo if you have some technical skills. You don't need to worry about a website but it's a good idea to start setting up a PayPal account if you don't already have one as hopefully you will want to take payments. Open up some accounts on Ravelry and Etsy, these will also require a PayPal account. And start a Facebook page if you havent done so already. The next step which I find is where most beginner crochet entrepreneurs are at is they get this far but now they start worrying about how many Facebook likes they have. Sadly these don't come over-night and people with lots of likes have probably been around for quite a while and have worked up a good network around the various social media sites. Some good tricks though to think about to get those numbers up is to promote free patterns. Not everyone can afford to do this but it is an incentive for people to join your page. You could sell patterns on Ravelry and say they are free on your Facebook page if they like your page or offer discounts and coupons for items you sell. Show off your work on other people's pages, share your ideas and thoughs on a blog, tweet your thoughts and ideas on twitter and link everything to your Facebook page. Photography is another sore point I find. Many people assume they need a professional photographer to show off their work. This is a fantastic opportunity but isnt necessary. It can also come with many pitfalls such as photographers taking your work and not supplying you with images. Just get yourself a good camera, find some natural sun light and work up your own photo shoots. You will be amazed at how well you can do with just the basics. If you know of children or babies then ask if you can take some photos with then. If you don't, perhaps pick up some poly heads to show off your work, even dolls. The most important thing to remember though is a good shot and sometimes just laying your work down in a pretty setting is just enough, without the need for models. There are hundreds and thousands of photos on Etsy that just show the product without a model. 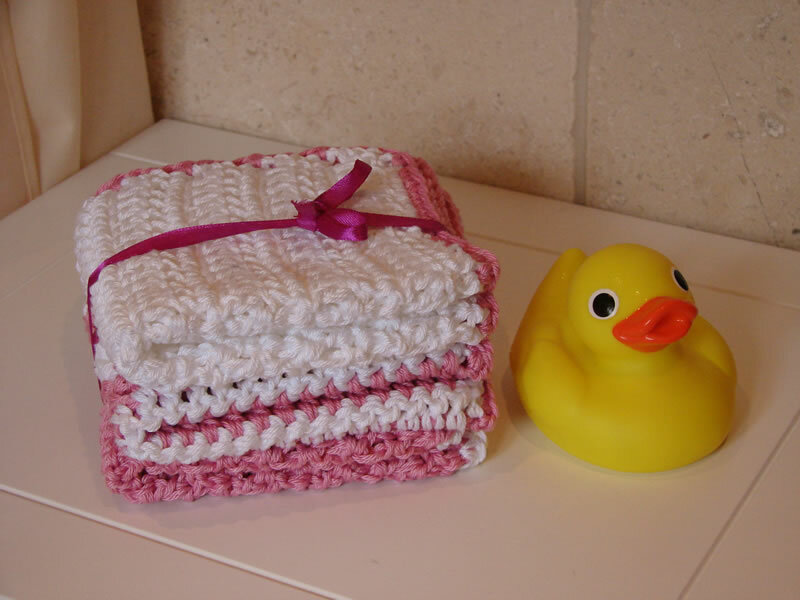 The above picture is a fun way off showing off some wash cloths, all types of objects can be used as props! As you build up your portfolio you will soon get used to how you want to work and what works best for you. Do get ideas from other people's work but don't fret about needing to copy everything they do. Think about your work, your style and before you know it you will become one of those you use to envy. Good luck! It may just be my Mad Hatter's ramble but I was just thinking to myself, is crochet a form of meditation do you think? Ok, so most of the time we crocheters spend our time going over and over stitch counts, working out really badly written patterns (hopefully mine not included) and wondering why no matter how hard you try you still seem to have one stitch too many or one too short, but what about the other times? The times where we are monotonously repeating the same stich over and over again, to the point where our monkey minds wander onto bizarre thoughts. Then I realise that my breathing is restful and I am in a calm state of being, even sleepy, in fact I could probably fall asleep right now if it wasnt for the fact that the mere thought of doing so would make me become one of those old biddies who fall asleep whilst knitting. I'm not that old yet am I? So is crochet a form of meditation? I know one thing, and thats it's one of the very few, if only, repetitive tasks that I do that doesn't make me repeat the action over and over in my head as soon as my eyes close, not like when I've wasted eight hours of my life playing the SIMS. I often wonder if the green diamond will be permantly embedding in my mind after too much gaming. Want to get married in a crocheted wedding chapel? You think you've seen it all when it comes to crochet but then you're amazed at the latest bizarre creation. Well, this wedding chapel, part of the Villa Escamp, the temporary city hall for the Escamp district in The Hague, is actually two kilometres of crocheted white flexible ventilation tubes which are believed to create an atmosphere of soft acoustics and beautiful lighting according to the architects DUS in Amsterdam. Covering six metres in length, the chapel is said to house up to 50 people and couples can actually get wed in the bizarre chapel but it is also hoped that the chapel will create a place where people can show commitment towards the planned new developments in Escamp as well as each other. 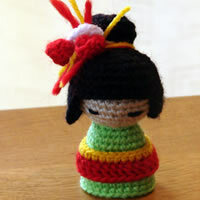 As a crocheter myself and a lover of everything Japanese it comes to no surprise that I love everything amigurumi but where does the art form really come from? Well... no-one really quite knows. Some believe that they originated in China, as crocheted or knitted dolls have been around for centuries but in fact amigurumi have only been around since the last 10 or 20 years or so. The Japanese craze for everything cute began in the late 1970s really as a marketing tool. It was believed that the vast majority of people watching television during the day or off out shopping were women and it was believed that if a product was made cute then it would sell. And it worked. Even today you will notice in Japan that cute creatures appear on almost everything, even serious objects such as warning signs or political notices. 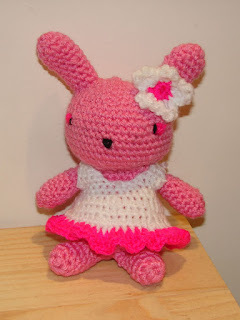 You may even recognise some of them too such as Hello Kitty or Miffy. It was thought that if something was made cute, then it would get noticed. In the 1980s the news channel NHK ran a show titled Ami and the amigurumi craze was believed to have been born around that time.The term 'ami' means crocheted or knitted and 'nuigurumi' means stuffed doll. The Japanese suddenly realised that they could take this cuteness craze to a new level and make their own adorably cute dolls. The craze has grown ten fold too with people all over the world now wishing to make these adorable creatures, collecting them and designing ever new bizarre combinations. So what defines an amigurumi? Well, amigurumi are typically animals but can range from all types of creatures such as mushrooms through to raindrops, there really is no limit to what you can create but the key ingredients are their human like anthropomorphic features of an over-sized head on a cylindrical body with undersized arms and legs. You got this part designed then you're well on your way to making your first amigurumi!